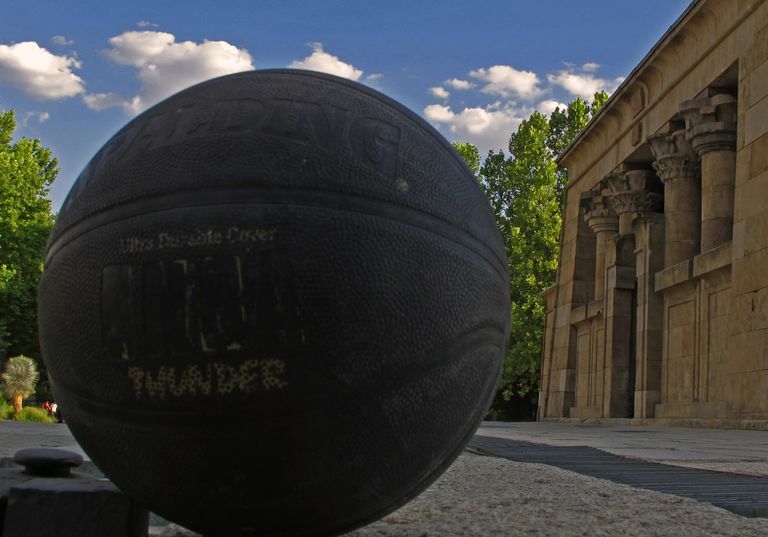 Basketball is an original American game invented by Dr. James Naismith in 1891. He designed it with rules of its own. These are the rules published in January 1892 in the school newspaper where he instituted the game. The rules set out a game that is a non-contact sport played indoors. They are familiar enough that those who enjoy basketball over 100 years later will recognize it as the same sport. While there are other, newer rules, these still form the heart of the game. Current rule: This is still a current rule, except that now the team isn't allowed to pass it back over the midcourt line once they have taken it over that line. Current rule: This is still a current rule. Current rule: Players can dribble the ball with one hand as they run or pass, but they can't run with the ball when catching a pass. Current rule: Still applies, it would be a traveling violation. Current rule: These actions are fouls and a player may be disqualified with five or six fouls or get an ejection or suspension with a flagrant foul. Current rule: Instead of an automatic goal, sufficient team fouls (five in a quarter for NBA play) now award bonus free throws attempts to the opposing team. Current rule: In the original game, the basket was a basket and not a hoop with a net. This rule evolved into the goaltending and defense pass interference rules. Defenders can't touch the rim of the hoop once the ball has been shot. Current rule: The ball is now thrown in by a player from the opposite team of the player who last touched it before it went out of bounds. The 5-second rule is still operative. 10. The umpire shall be the judge of the men and shall note the fouls and notify the referee when three consecutive fouls have been made. He shall have the power to disqualify men according to Rule 5. Current rule: In NBA basketball, there are three referees. 11. The referee shall be the judge of the ball and shall decide when the ball is in play, in bounds, to which side it belongs, and shall keep the time. He shall decide when a goal has been made and keep account of the goals, with any other duties that are usually performed by a referee. Current rule: Timekeepers and scorekeepers now do some of these tasks, while the referee determines ball possession. Current rule: This varies by the level of play, such as high school and collegiate. In the NBA, there are four quarters, each 12 minutes long, with a 15-minute halftime break. Current: The winner is now decided by points. In the NBA, five-minute overtime periods are played in case of a tie at the end of the fourth quarter, with the point total at the end determining the winner. If still tied, they play another overtime period. What Is "Ball Don't Lie?" What Are the 17 Official Soccer Rules Set Forth by FIFA?